10 tips for selling a car on craigslist. Selling a car on craigslist or any other site can be a challenge. 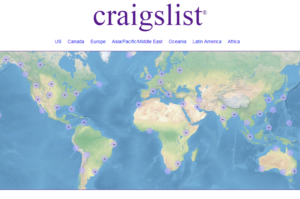 Craigslist is a great global platform for buying and selling personal items. For those who have never attempted it before creating a good ad can be difficult. Dealing with strangers can be overwhelming. In this article, I will share 10 tips for selling a car on craigslist. These ten tips are for selling a car on craigslist successfully with the least amount of trouble possible. This is not going to be stuff like how to take pictures and make sure you vacuum out the car. I’ll discuss them briefly but it should be obvious. This is going to be the stuff that is going to save you the time and the hassle later on down the road. Real talk, real-world stuff let’s get right into it. This is the most basic tip. Something that should be apparent and obvious. If you want the most for your vehicle buyers will want a clean vehicle that doesn’t smell like cigarettes or someone’s bathroom. Depending on how old your vehicle is, you might want to pay a pro to detail it. $100 for a detailed job on a 10k car might be worth getting the top dollar. Many automatic carwashes typically offer free vacumes. Which are powerful and can help in the cleanup process. The second tip is very important for selling a car on craigslist. In order to sell a car, you will need the original title. You will need to go get it notarized. This can usually be done at a bank or you can look up a notary service in your area. This will allow the buyer to transfer the title into their name. It’s important to do this early so once you list your car you will be ready to go. This is another no-brainer tip for selling a car on craigslist. Take good photos. Multiple photos. Most cell phones have a good enough camera. Drive the car to a empty parkinglot or park and take pictures. Take pictures of each side and the interior. An ad with more pictures will get more attention than those craigslist ads with one or no photos. Be sure to cover your license plate to protect privacy. Take a minimum of 5 photos. A receipt or bill of sale is important also in selling a vehicle. It will be a document to save in case any problems arise in the future. Once I sold a vehicle and the new owner abandoned it without ever transferring it into their name. The police impounded the vehicle and notified DMV in my state. I received a bill for $500 plus impound fees. I was able to prove that I had sold the vehicle prior to that date. This saved me quite a bit of money so be sure to document who buys the vehicle and the date. A guick google search for car bill of sale will provide many resources to generate one but here is an example. Now that you have a clean car, good picks, the notarized title, and a bill of sale ready you can sign up on craigslist and create your post. When writing a post to sell your car on craigslist be descriptive. Use kelly blue book to decide on a good starting price. Be sure to note any items you have fixed or improved on the car. As well as any problems. People appreciate honesty so if the car has problems just explain them. Don’t hide them. Be sure to list the total miles, color, interior color, and other details. Be sure to include a good contact number and the general location of the vehicle. Once you have a good post up and running you should start getting messages or calls with inquiries. The unfortunate reality of selling a card on craigslist is that you will have to deal with many flakes and people who will make an appointment but not show up. You will have to deal with the same questions being asked over and over. As difficult as it might be you must be patient and answer questions. When selling a car on craigslist your patience will be tested. I’ve had quick sales and sales that took a month or more. It can be frustrating but eve,ntually you will find a buyer that is ready. Its helpful for both parties if you set a meeting during the daylight. It allows the vehicle to be inspected easily. It also provides a level of safety for the seller. Another tip would be to have some else with you like a friend or relative. It’s not necessary but If you’ve never done this before It might provide you with another level of comfort to have a witness. Most people are good and looking for a good deal. However, there are some bad people out there so better safe than sorry. Now that you have got this far and you finally have someone show. You are close to selling your vehicle and being done with the process. However, buyers are out to get the best price. Buyers will try and lowball or offer a lower price. It’s up to you to determine the lowest you will go before you even make the post. Don’t be afraid to say no and walk away. If the car is worth the price you posted someone will purchase it eventually. Refer back to the be patient part of this post. Once you and the buyer agree on a price and shake hands get the cash. Depending on how much you sell the vehicle for you might consider these options. Either ask the seller to go to a bank and get a cashiers check from the bank or go to the bank together and have the teller check the cash. If you are comfortable checking the cash yourself then be sure to count it before signing the bill of sale and handing over the title. Do not ever accept a personal check, money order, PayPal, or bank transfer. Many of these payment options can be reversed days after leaving you with no money and no car. In recent years many people have started to pay with cryptocurrencies like Bitcoin, Litecoin, Ethereum, and many other altcoins. I’m a huge supporter of these types of payments. Craigslist even has an option for accepting cryptocurrencies on your ad. If you have no experience with cryptocurrencies it is 100% worth it to learn. This is one form of payment that is just like cash. Once bitcoin or Litecoin is transferred to your account then it is done. It can’t be reversed. It is just like cash but digital. It’s really easy to use but will require a bit of research and practice. You can also cash out cryptocurrencies into US dollars and deposit it in your bank. Be warned thought cryptocurrencies are a volatile new asset class. BE SURE TO COUNT AND CHECK THE CASH. Now that you have finally sold the vehicle you can deposit the cash and celebrate. Keep the bill of sale in your documents for safe keeping. The last step will be to contact your local DMV and file a notice of sold vehicle. This is another step that will protect you in case the buyer never transfers the title and does something bad with the vehicle. Check with your local DMV. This step can usually be completed online. Selling a car on craigslist can be a great way to get cash for your used vehicle. However, the process can be tedious and time-consuming. Along with this article be sure to check with your local DMV to verify all the state requirement for selling a personal vehicle.